Did u get a chance to taste the "pal payasam" at guruvayoor?? It tastes yummy... and you should taste the prasadam lunch too..it too tastes divine!!! 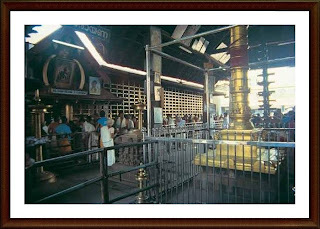 And moreover if u had got a chance to do a overnight darshan ,u would have seen the elephant processsion and the krishnattam in the mandapam just outside the nada.It is believed that Lord krishna himself comes everyday in disguise to watch it being performed. So that was the beginning of a great trip!!! @Sats, Yeah mate 't was a nice trip. I can see 'Happy' in the Tag and felt really good to see that there..!!! Wishing you more such kinda trips to keep you away from all kind of worries...!!! I havent seen the places in kerala, but yeah valparai and Pollachi are treat for the eyes..!!! man u write amaing travelogue, I felt like being there with you in the thulabaram or travelling awake in the car looking through the greenaries. 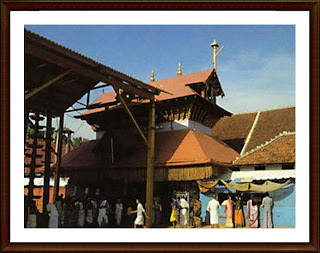 Burma teak kerala architecture is very unique and pleasing to eyes, I love thier houses/temples. Thulabaram have changed these days, I really wish they dont recycle things, but I guess thats the easiest way to have it done. And what a lovely song to go along with the post, the page opened and I was mesmerised by the music. Thanks for posting lovely post! @Manisha, even i wish lots of such trips wid the luved ones. Don't worry next time u're most welcome to join me for the trips to Kerala. @Srivats, Thx 4 visitin n ur comments. Buddy, i am not even 1% closer to your travelogues mate. Your's rock n am a biggggg fan of ur travel posts.